Flew the A350 for the first time in January 2017, from DOH-ADELAIDE, so nice to relax in business on a 12 hour flight. Service in business always exceptional and my seat 9A is the last in business before economy class curtain divider and on the left hand side window. 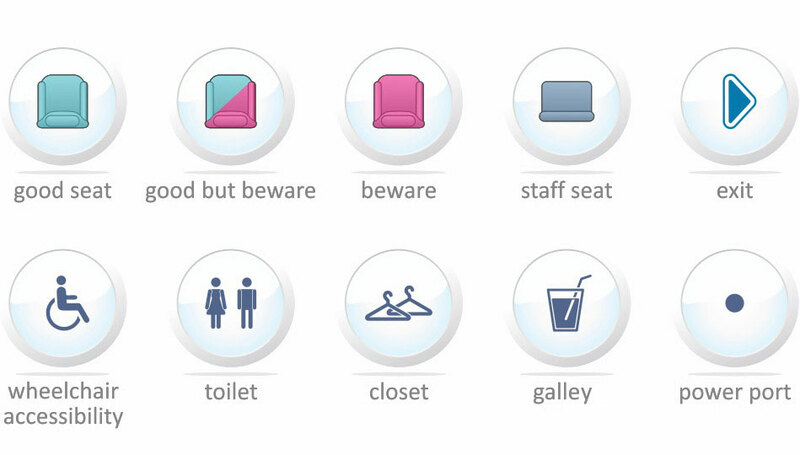 So absolutely no problems with the business pod itself, the IFE or the to seat service for drinks and food etc. So lets talk any negatives...you board first through front door but then economy boards through door two rows in front of 9A, so you have 10-15 minutes of people going by, but not too bad. 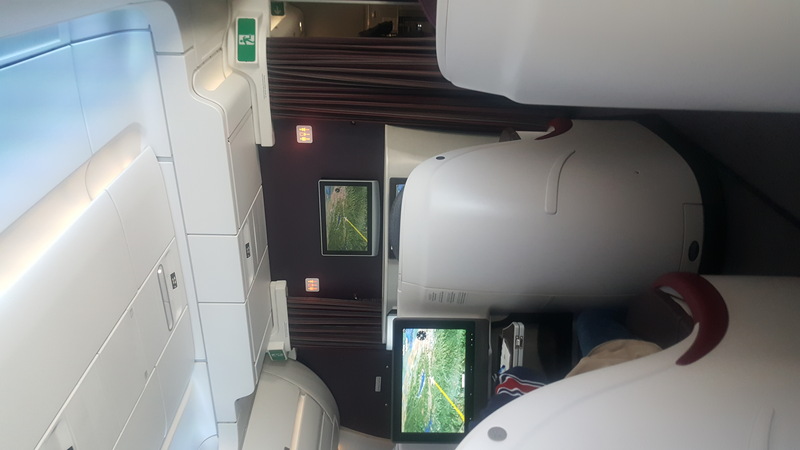 Only downside for me with 9A was the curtain behind separating economy being opened and closed all flight, if you are not asleep or deep in a movie, you will notice it, and aside from the few economy girls who kept sneaking in to pinch fruit and chocolates from the centre bar lol, it was ok! A350 business toilets too are for me much better than on the A380, which are smaller and feel cramped. Only other negatives, being kept in perpetual darkness after departing DOHA to adjust to the sun in the east which comes on quite quickly...I don't like cabin darkness when it is light outside, thats what eye shades are for for those who want dark. Again though, Qatar is my airline of choice and love the service, very very hard to top. This was the first time that I flew in the A350-900. The cabin was clean and gave the impression of spaciousness. The flight was smooth and with relatively low noise. The pressurization system worked very well with little problems with ear pressure. Cabin crew were attentive and the food was well presented. I did not like the salt and pepper grinders which I found too small for me to effectively grip and twist. Of more concern was the positioning of the food tray which extended to a point about 40cm away from me. This meant having to lean forward in the seat in order to eat. Eventually I tired of this and placed a folded blanket behind my back. But, overall an enjoyable flight. Seated in business class in a QSuite seat. Seat 5a is a rear facing window seat. Very comfortable seat as usual with Qatar Airways. It was a little disconcerting at first to be seated facing backwards but you soon adjust to this. You just need to be aware you need to make sure everything is packed away for landing or to all slides forwards to you on landing. Seems to have a little less at seat storage than on the Qatar Boeing Dreamliner seat layout, but maybe I am wrong. Very comfortable journey. The seats, which converted easily into a flat bed, were so roomy and you could close the partitions to give complete privacy. 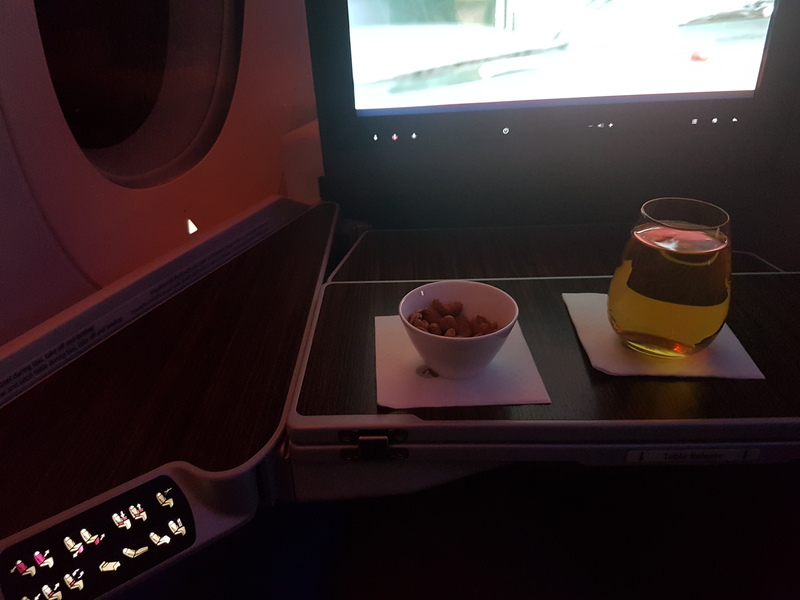 The service, as with all Qatar flights, was excellent as was the menu and quality of food. It was more like spending a night in a comfortable hotel than flying. A great plane but the need to reconfigure the seating as the cattle class seats are narrow and poorly padded with the armrest digging in to the ribs. To many passengers are being crammed into the plane. Toilets were not clean and quite smelly. I got the feeling that the crew was already exhausted and didn’t want to be bothered. Didn’t get special meal despite ordering ahead. Very comfortable seat , with pleanty of space and whell designed. Good storage , spacious cabin. Usial excellent Qatar service , superb staff. Seat was good. Food was good. Over all Services was very good. Awesome seat great leg room, superb service, great food. We actually arrived 30 mins earlier!